I wanted to make something for my mom for Christmas. We settled on mittens. She wanted to be able to push the button on her camera with her finger, but had to take her whole glove off to do it, so I thought fingerless mittens were the way to go… and then I’m to add a top to the mittens. I tried to find a pattern on ravelry that would do it, but I think I’m going to try and meld two together. I read through the flip flap mittens pattern and determined that I had to do it myself just as the pattern was written before trying to take the flip flap part of it out and add it to the Snowy Woods Mittens. So I’m knitting a pair of flip flap mittens for myself. I knitted three swatches today, using a size 3, 4, and 5 needle. The gauge on the 4 & 5 was exactly the same…. weird, I thought. And evidently I knit waaaay to tight, because size 3 was way off. Needle 4 is only a tiny bit off, so I’m going to use that one, though the pattern calls for size 3. I’m glad I checked the gauge, I usually don’t. Maybe I will from now on. The only bad part is that I don’t have size 4 double pointed needles. 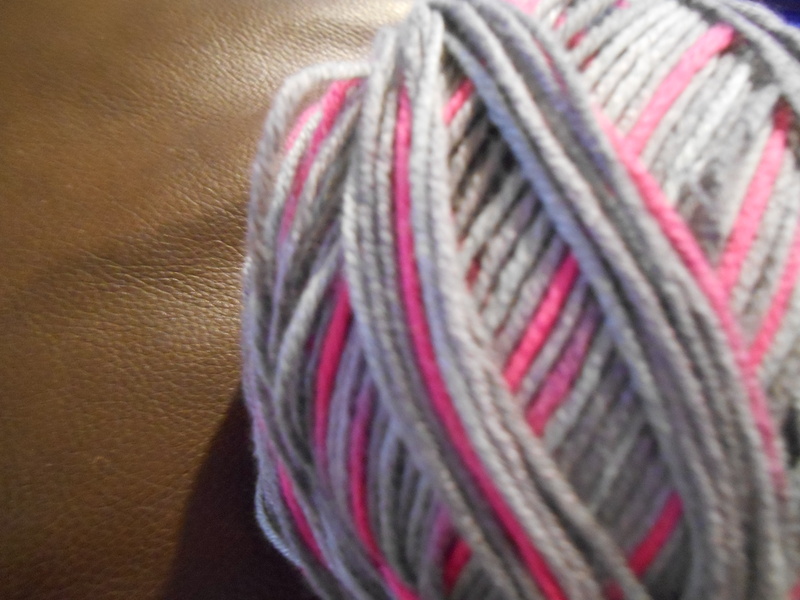 I’m using this yarn. I’m rather excited about it. It looked pretty awesome when I was swatching it. So in the meantime I started the infant mittens from purl soho until I can get the DPNs. I’m using 3 ply yarn and no accents for this particular pair. We’ll see how it works out.